Over time, you may have noticed an increased sagging, wrinkles, sunken cheekbones and loss of elasticity in your face. It can be depressing as you realize the damage that gravity, sun, and genetics has had on your beauty; however, Dr. Korman has the ability to reverse these signs. Facelifts can take years off of your appearance as it lifts and rejuvenates the face. If you are interested in discussing your options for this procedure, contact Dr. Korman at either his Mountain View, Carmel, or San Jose facility to address your candidacy and any questions or concerns you may have. 10 What is the Cost of a Facelift? A Facelift is a general term that implies a plastic surgery procedure that youthful, contoured appearance. These days it is sometimes a confusing term, as many patients love the idea of being rejuvenated, and having a “little tuck, ” but think that a “facelift” implies a big operation that might make them look overdone. Dr. Korman is methodical in diagnosing what needs lifting, and also understanding the patients goals. Through this process, Dr. Korman wrinkles are diminished or removed and facial features become more defined. There are different types of Facelift procedures, ranging from SMAS Facelift to Mid Facelift to skin only Facelift. Depending on the specific case and the extent of the procedure, a Facelift can take between 2-5 hours. A Facelift can also be paired with additional procedures such as nose reshaping, Neck Lift, or eyelid surgery. Facial aging or sagging can become apparent as early as your thirties. If you experience any of the following, you could be a candidate for a Facelift procedure. It is important to understand that a Facelift does not stop the aging process, but it will give you a youthful contour for many years to come. The specific amount of years your results will last will depend on your age, skin type and elasticity, and the type of Facelift procedure you undergo. For a better idea of how long your results will last for you, schedule a consultation with Dr. Joshua Korman and through a thorough examination he can determine a more exact time frame. The term ‘Facelift’ can sometimes be confusing, as there are many different types. 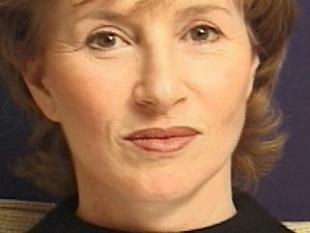 Dr. Korman performs Minimal Incision Facelifts and Standard Incision Facelifts. He will assess during your private consultation which procedure you will benefit most from. Standard Incision Facelift involves an incision made from the temple, along the hairline to the bottom of the ear, and up behind the earlobe. This allows Dr. Korman to then remove or reshape fat or tissue, lift muscles as necessary, and tighten the skin to remove the appearance of double chin or jowls. The result is an overall aesthetic enhancement of the face, including smoothened wrinkles, bright, awake eyes, and a defined jawline. 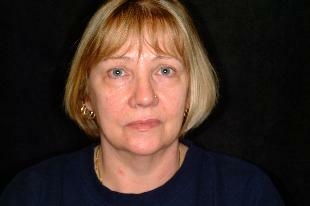 Minimal Incision Facelift is a modification to the standard Facelift. It requires a shorter incision that either runs from the temple ending at the level of the lips, or from mid ear to behind the earlobe. This procedure is ideal for patients who do not experience sagging jowls or double chin. A Minimal Incision Facelift works best for patients who desire to tighten the skin of the a portion of their face. This can reveal vibrant eyes and defined cheekbones. With your aesthetic desires in mind, Dr. Korman will determine the best individualized procedure that will benefit you most. Your private consultation with Dr. Korman will be the time to discuss any concerns you have about the appearance of your face. He will also perform a detailed examination of your face, looking at skin elasticity, muscle strength, and overall facial structure. You will also be shown before and after photos of patients who received a similar procedure to give you an idea of possible results. He will give you a list of how to prepare for your surgery, as well as how to care for yourself after. There are some steps that need to be completed before undergoing Facelift surgery. Dr. Korman will give you a list of certain medical tests and evaluations you will need to complete. Medications will be prescribed which you should, and you will need to adjust some of your current medications. Don’t smoke the few weeks leading up to your surgery, and do not take anti-inflammatory or herbal medications. These should also be discontinued following your surgery for an allotted amount of time. Arrange for someone to drive you home from surgery as you will be unable to. It is recommended to have a family member or friend stay overnight with you to aid you in your postoperative recovery. Further, it is also recommended if you see a hair stylist regularly to make a hair appointment prior to your surgery as you will be unable to receive any treatments for a period of time. In a standard facelift incision, you will be administered a dose of anesthesia. Once comfortably anesthetized, Dr. Korman begins the procedure by making an incision behind and in front of the ear, carrying up to the scalp. The incision will be made within the natural folds of the face to minimize scarring. The facial skin will then be pulled out as it is loosened from the underlying tissue. At this point, Dr. Korman trims the excess tissue and skin that is causing sagging. The skin and tissue will then be tightened and realigned, rejuvenating the face. Tiny sutures will be used to close the incision after the approximately 2 to 5 hour procedure. After your Facelift, a dressing will be applied to the face for the first 24-hours, but this will soon be replaced by a lighter covering. Patients typically experience swelling and possibly bruising while recovering, but these will quickly subside over time. 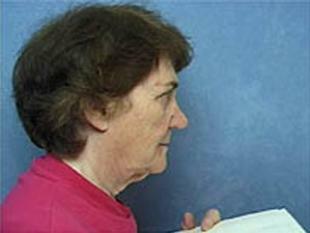 Dr. Korman may recommend drainage tubes for excess fluids, and the head should be kept elevated following the procedure. Having extra pillows to keep you propped up is recommended. In about 3 weeks, patients should be able to resume normal activity. For more information about the recovery process of a facelift, contact one of our 3 conveniently located offices in Mountain View, Carmel, and San Jose. 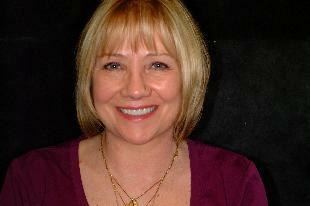 A Facelift procedure will improve the overall appearance of your face. But sometimes, patients only need a touch-up of specific facial features. Below is a list of procedures that can serve as great alternatives to a full Facelift procedure, or be performed in conjunction with a Facelift. Patients who would only like to address sagging skin on the neck would benefit greatly from a Neck Lift. This procedure removes excess skin due to aging or genetics and tightens it to create a smooth, youthful neck. 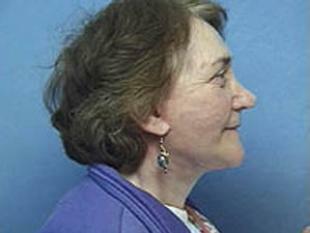 A Neck Lift can also be performed in conjunction with a Facelift. A Brow Lift, otherwise known as a Forehead Lift, is a procedure that raises drooping eyebrows that may make you seem visually angry or sad. A Brow Lift will surgically raise the brows to a more youthful position. This will diminish the appearance of wrinkles on the forehead or between the eyebrows, while additionally raising drooping upper eyelids to reveal brighter eyes as well. Blepharoplasty is the surgical approach to removing sagging skin and wrinkles around the eyes that create unwanted folds. Through this procedure, puffiness, bags, fine lines, and years are shed from your appearance. 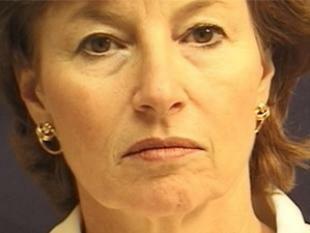 Eyelid surgery can be a part of a Facelift procedure. As a center focal point of the face, an aesthetically proportionate nose is important to bringing balance to the face. Rhinoplasty can be performed for either cosmetic or functionality purposes. Rhinoplasty will not address sagging skin or wrinkles on the face, but it will give you a beautifully sculpted nose. Botox is an FDA approved injectable that reduces the appearance of fine lines and wrinkles on the face. Botox works by temporarily paralyzing the muscle, ridding crow’s feet and laugh lines. Botox does not address excess sagging of skin, but it is a great temporary solution to unsightly wrinkles. Fat injections to the face are often another alternative to a Facelift. The fat is harvested from the abdomen or buttocks and then injected into the predetermined areas of the face. This creates smooth, plump, and wrinkle-free skin for roughly a year. For lasting results, injections need to be continued, the specific amount of time determined by Dr. Korman. Dr. Korman will be able to assess the cost of your Facelift upon meeting with you and assessing the extent of surgery required to achieve maximum results. The price will vary if you undergo additional procedures during your Facelift, like other facial procedures or breast or body procedures. Patient financing is offered to our patients. Contact one of our three offices today to schedule a consultation.